Keys are an essential tool to lock and unlock a door. Losing it is very frustrating especially if there are no spare keys available. You must either replace the door lock or find spare keys that would match the lock. If this happens to your car, you might be stuck at the middle of the road. If, on the other hand, you fix it all by yourself, you might cause damage to your vehicle. Thus, you need to call for professional help before you try to unlock your vehicle door. Locksmith technicians usually have spare keys to unlock a certain door. However, there are times that they need to replace the lock itself because they cannot find another key to serve as duplicate. This is the reason why it is important to secure a spare key in case it has been accidentally lost. Being locked due to this problem can be solved through the expertise of a professional locksmith. 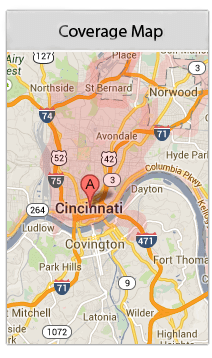 Cincinnati Locksmith can resolve any lock & key related issues, including lost key replacement. They are trained to unlock a vehicle without creating further damage. Regardless of the brand, you can trust Cincinnati Locksmith to be there for you. There are numerous locksmith service providers within Cincinnati, Ohio but Cincinnati Locksmith is among the best in terms of quality and affordable services. If you need a quick lock or key replacement, do not worry too much because we cooperate with expert technicians who operate in many Cincinnati areas, including Florence, Mason, Newport, Hamilton, Fairfield, Norwood, Forest Park and Covington. Call us & you can rest assured that help is on the away. The technicians we work with are highly trained and they understand your need for immediate lock or key replacement. Whether it is residential, commercial or automobile, our locksmith experts can fix any locksmith issue for you. In terms of pricing, we ensure to give proper quote without hidden charges. We work honestly and we want to have a long list of satisfied customers. That is why we keep on doing the best for our customers! Call us at (513) 297-1146 whenever you need help with lock and key replacement. We want to maintain your security and comfort. At Cincinnati Locksmith, we are here to keep you at ease without compromising your budget.